Twelve years — 4,380 days — is the difference in life expectancy between someone who lives in the 53217 ZIP code, Milwaukee’s healthiest, and 53206, which is infamous for its challenges. 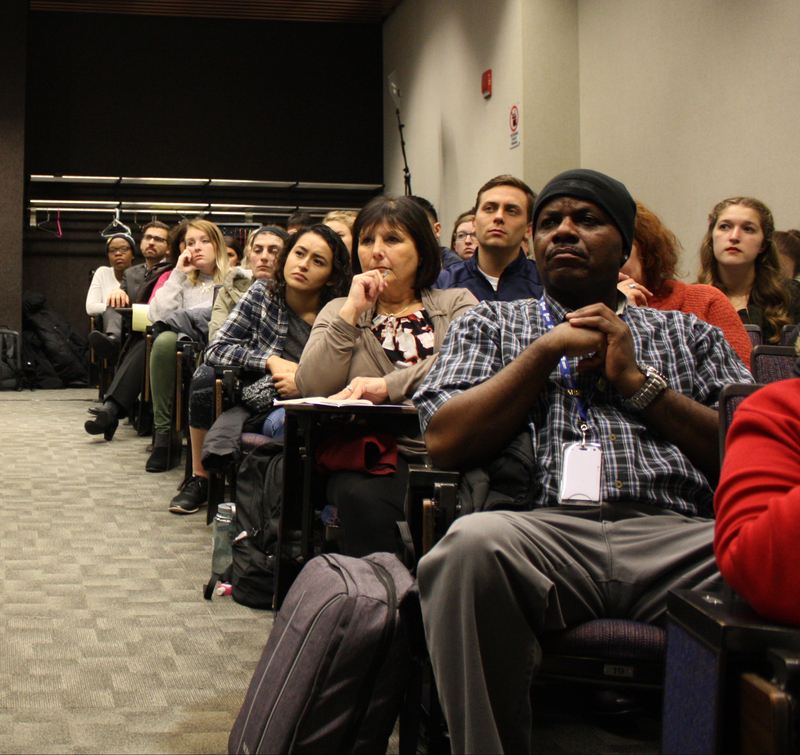 According to City of Milwaukee Health Department Commissioner Bevan Baker, who shared the numbers at a recent panel on poverty at Marquette University, the disparity underscores the responsibility to address it. The two ZIP codes, only about a mile apart at their closest point, are stark in their differences. In 53206, the population is 94 percent black with an average age of about 29. In this, the most incarcerated ZIP code in the country, 47.5 percent of people and two-thirds of children live below the poverty line. In 53217 — where 87 percent of inhabitants are white, the average age is over 40 and only 5.3 percent of people live in poverty — the median household income of $99,268 is more than four times that of 53206. The panel of seven men, which included scientists and researchers as well as public health, law enforcement and philanthropic professionals, pointed to the adverse impact of prolonged stress on the brain and lack of resources available for mental health treatment. They stressed the importance of being more proactive in caring for individuals. “The earlier you start, the better,” said Robert Fox, a Marquette University psychology professor and founder of the Behavior Clinic, a 15-year partnership with Penfield Children’s Center. Fox, who works with poor, central city families, largely headed by single women, described living situations that lacked amenities and often included some type of trauma. According to Fox, one in 10 children in the country have a “behavior problem” as a result of trauma. One out of every four children under 5 lives below the poverty line. 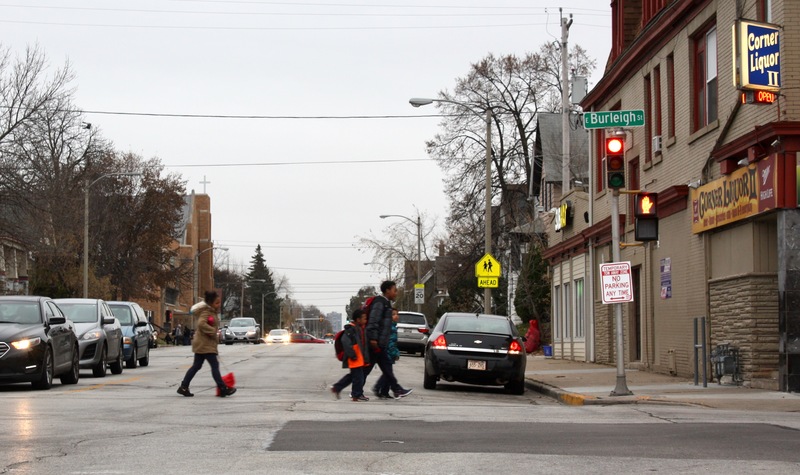 In Milwaukee, more than 40 percent of children (under 18) live below the poverty line. The Centers for Disease Control and Prevention (CDC) recognizes the conditions of poverty as a risk factor for trauma. These experiences can lead to stunted growth. Many children who experience trauma have difficulty in school and, according to Milwaukee’s Chief Deputy District Attorney Kent Lovern, 80 percent of prisoners in the U.S. self-report that they were abused or neglected as children, or witnessed abuse or neglect in their household growing up. According to a recent report, released by the Coalition on Human Needs and 9to5 Wisconsin, the state’s poverty rate dropped from 13.2 percent in 2014 to 11.8 percent last year. However, as of 2016, 32.9 percent of Wisconsin’s African-Americans were living in poverty. More than 660,000 Wisconsinites earn wages less than the federal poverty line and about 280,000 make less than half that amount. The report says federal programs such as Supplemental Security Income (SSI), Supplemental Nutrition Assistance Program (SNAP, or food stamps) and Medicaid help to raise people out of poverty but “do not reach enough of the people they are designed to help” and could do more good if they were better funded. That prospect, however, looks grim under the Trump administration, which has passed a budget resolution calling for $5 trillion in cuts to Medicaid, SNAP, SSI and Temporary Assistance for Needy Families (TANF) by 2027. “When we talk about children and the poverty that is happening to children, it is irresponsible not to also talk about how parents, heads of households, which are largely women, are not being supported,” said 9to5 Wisconsin State Director Astar Herndon in an interview. She did not attend the panel discussion. According to the 9to5 report, child poverty cost the United States economy $672 billion in 2015. Almost two-thirds of households in 53206 are headed by single mothers, a figure exacerbated by the city’s disproportionate incarceration of black men. Frank Cumberbatch, vice president of engagement at Bader Philanthropies, said it’s essential that the leadership of Milwaukee “get its act together.” He said people have to start talking to each other so resources can reach where they need to go. Such an impirtant issue. Poverty-driven stress saps hope, health and opportunities. Cheap foods(rice, potatos, bread are nutritional voids, and leaves kids fatigued, deficient of vits/mins, which impedes brains from learning. Stigma of mental health sets these kids up for further failure. It will take major funding, cadres of social workers, home visits, job training, BC and family planning, parenting, addiction services and compassion, not racial judgments. My MS county is 94% white but very poor. It is as bad here, minus the race card. Stress kills. Poverty kills spurit and soul. I’m trying to identify a plausible and practical link between Home Economics education in middle schools and the role of the teenage population. I think by supporting the age range 13-21 with classes that teach them the importance of cooking and basic home maintenance we can reinforce the home with a generation who can at least feed themselves. I’m looking for scholars or researchers who might be able to give me the support I need to proposition our Syracuse City School District. Can you advise? Learning skills are very important to say the least. The trick is how to address the Adverse Childhood Experiences (ACE) that your students will have suffered or are suffering by the time they get to you. Long story from here but addressing the Adverse Childhood Experiences that each student has suffered is the path for their personal success and the teacher’s success and the school’s success.